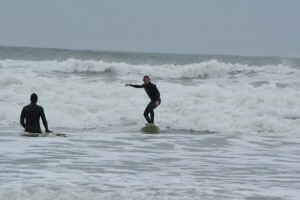 The village of Llangennith boasts a pub, a church and a surf shop. 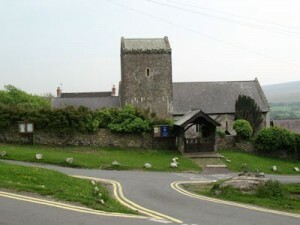 The village takes its name from St Cenydd’s church, which is the largest church in Gower. This ancient church was built in 12th century on the site of St Cenydd’s original ‘llan’ which dates back to the 6th century when St Cenydd founded his church and college (or bangor in Welsh). The village lies on the lower slopes of Llanmadoc Hill and looks out towards Rhossili Down and Hardings Down. Well removed from the better known tourist destinations of Langland, Caswell, Oxwich and Port Eynon on the south Gower coast, Llangennith is one of Gower’s best kept secrets. The King’s Head pub opposite the church is well known in the area; it serves ales from the local Gower Brewery and offers good pub food at reasonable prices, as well as daily specials. PJ’s surf shop is run by the former surf champion Peter Jones and is the place to go to buy or hire surf boards, wet suits or get advice. 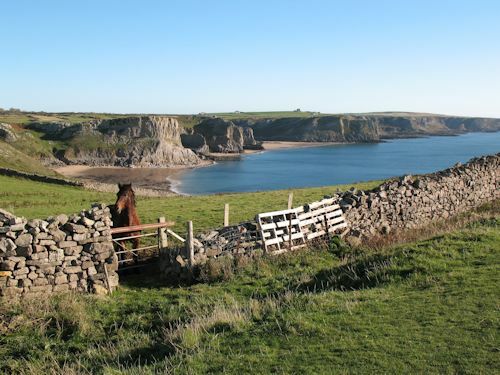 The village is just a 5 minute drive (20 – 30 minute walk) from the huge expanse of Llangennith beach/Rhossili bay. Bounded at one end by the iconic Worm’s Head promontory and at the other end by the tidal island of Burry Holms, this 3 mile stretch of sand is renowned for its surf. In 2013 it was voted the best beach in the UK, the 3rd best beach in Europe and 10th in the world by TripAdvisor. The more secluded beach at Broughton, with its rock pools and coves, is a similar distance away from the village.